Would you like to be on the first page of Google for your keywords? You should think about teaming up with the Search Ninjas. They will be more than happy to help you dominate your niche for various targeted keywords. 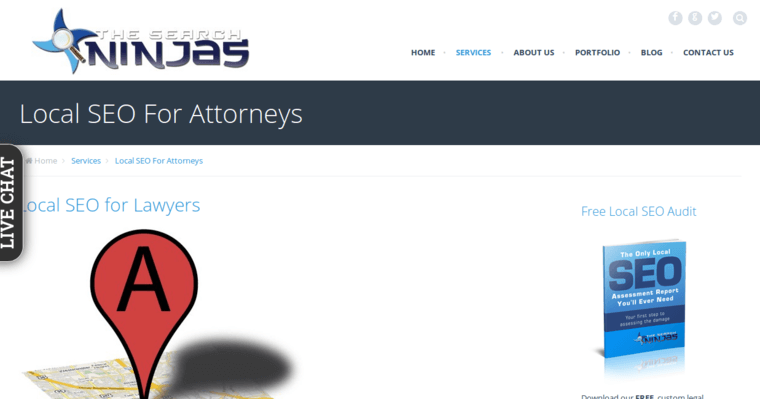 The Search Engine Ninjas knows what it takes to help their clients in the law field get ahead of their competition in Google. There are thousands of search engine optimization companies in the game today, but the Search Engine Ninjas are head and shoulders above them. The Search Engine Ninjas are extremely patient with their customers. They will not push you into a monthly contract like their competitors. They are only interested in helping your law firm get more clients. This type of practice has helped them become one of the most visible outfits in internet marketing. It's fair to say that they are here stay for a long time.